Hilfreich Studio, LLC was founded by the Artist/Curator Tyla Hilfreich in 2016 as a platform to promote and sell Tyla Hilfreich's and his colleagues works and services for the benefit of ALL parties. The goal of Hilfreich Studio is to maintain fair and ethical business practices from business to business and business to consumer. 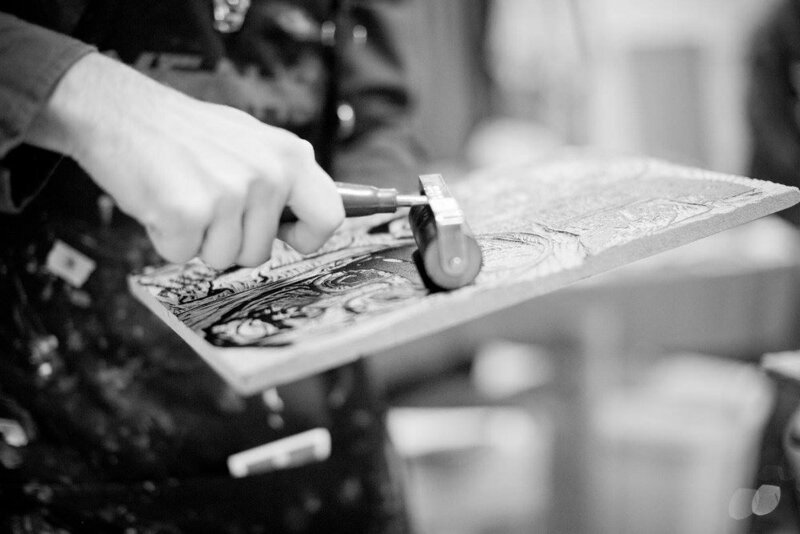 Hilfreich Studio is currently operated out of Appleton, Wisconsin, USA - where it was founded. Tyla first started doing commission work while finishing his B.F.A. at UW-Stout. After graduation, Hilfreich traveled around Europe for two months, and parts of Peru. 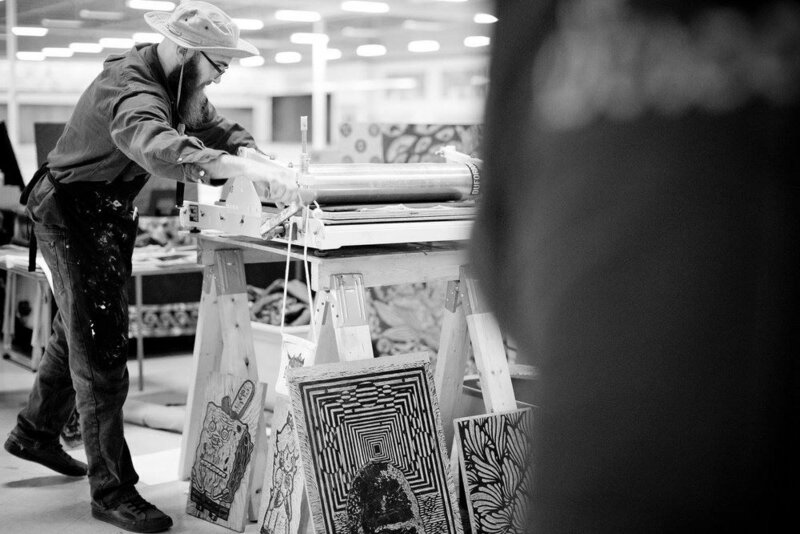 Returning back to Appleton early Spring 2016, he quickly found a factory screenprinting job. After less than six weeks Tyla quit and soon filed paperwork for Hilfreich Studio LLC in order to follow his passion of sharing and helping others through art and design. The above photo was taken at The Artery that happened in Little Chute, Wisconsin at the end of 2017. The Artery is an amazing event that brings many fine arts and crafts vendors, as well as many delicious food and drink options from the Fox Valley. Being able to print at this event two years in a row have been great experiences. Being a part of this environment has really given Tyla and Hilfreich Studio great opportunites to thrive in Appleton and -The World-. Hilfreich Studio is booked to do more live printing for the rest of 2018 (and has more availability (wink wink)). Hilfreich Studio has had multi great opportunities to live print at "Bazaar After Dark", a community take over event, that turns a busy street into a wonderful block party/night market for the night! The next Bazaar After Dark is happening on April 28th, 2018 in Little Chute where Hilfreich Studio will be printing. Hilfreich Studio is dedicated to helping and serving others - that means that we do service and commissions! Hilfreich and his team have done multiple event type service work including music for weddings, and mc-ing special events. Other services include logo/T-Shirt design, Garment production, sound design, video and art consulting.